President Muhammadu Buhari on Sunday broke his silence on the lingering fuel scarcity in the country, saying he had directed regulators to end hoarding and price hike. He said he had also been assured by the Nigerian National Petroleum Corporation that the situation will improve significantly in the next few days. Buhari disclosed this in a statement he personally signed and posted on his verified Twitter handle, @MBuhari. Describing the fuel crisis as regrettable, the President sympathised with Nigerians who he noted have been enduring needless fuel queues. The President said, “The fuel scarcity being experienced nationwide is regrettable. 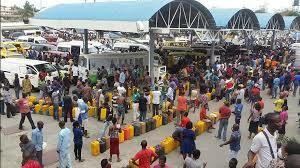 I sympathise with all Nigerians on having to endure needless fuel queues. “I am being regularly briefed, especially on the NNPC’s interventions to ensure that there is enough petrol available during this period and beyond.